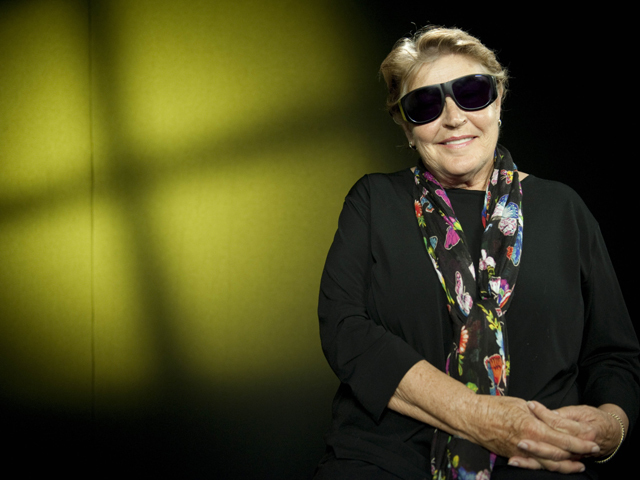 (CBS/AP) "I am Woman" singer Helen Reddy is coming out of retirement. In 2002, the singer-songwriter gave up on show business and started a new life in her homeland of Australia. She got her degree in clinical hypnotherapy, and for the last decade has lived modestly in Sydney. "I have very wide-ranging interests," she said in a recent interview. "So, singing 'Leave Me Alone' 43 times per song lost its charm a long time ago." But she couldn't stay silent forever. Reddy is making her return to the musical stage this week, at a club in San Diego and for a high school benefit in the Panorama City section of Los Angeles. She decided to return to performing after being buoyed by the warm reception she recently got when she sang at her sister's birthday party. But don't expect to hear all of the old chart makers during her performances. "One of the reasons that I'm coming back to singing is because I'm not doing the greatest hits," Reddy explained. "I'm doing the songs that I always loved. So many are album cuts that never got any airplay, and they're gorgeous songs." Reddy, 70, has been singing since she was a young girl, as part of a well-known show-business family in Melbourne. But she didn't score hugely until her 1971 hit cover of "I Don't Know How to Love Him," the big ballad from the musical "Jesus Christ Superstar." Over the next decade, she produced 15 top 40 hits, with three reaching No. 1. Her biggest song was the 1974 feminist anthem "I Am Woman" -- which ultimately inspired her to retire. "That was one of the reasons that I stopped singing, was when I was shown a modern American history high-school textbook, and a whole chapter on feminism -- and my name and my lyrics (were) in the book," she recalled. "And I thought, 'Well, I'm part of history now. And how do I top that? I can't top that.' So, it was an easy withdrawal." Reddy, who recently had cataract surgery, she says she's already in a "very good place." "I'm still very active, physically. I walk four miles a day. And I love the fact that I don't care so much about things -- things that were so terribly important when you're younger, they don't matter when you get older," she said. "And it's such a sense of freedom." Reddy was the first Australian to win a Grammy Award. She has performed on Broadway and in London's West End. In 2006, she published the autobiography, "The Woman I Am."